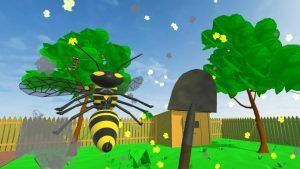 Dig into the new worlds of virtual reality, take your Vive and battle the wasps in your garden! I know you always wanted to do that. To take care of these little nags and shred them, cut them into pieces and nail them to the wall! Step into your garden, take whatever tool you find and make these wasps wish they never entered your neighborhood! Nice selection of weapons – but not the weapons you are used to! More screens? Here you go! Q: Is this possibly the best game in the world? A: Some people say so, yes. Although I have to admit that the game was definitely not meant to be that nor was it built in a way this could ever be sufficient for that title. But hell it makes fun! 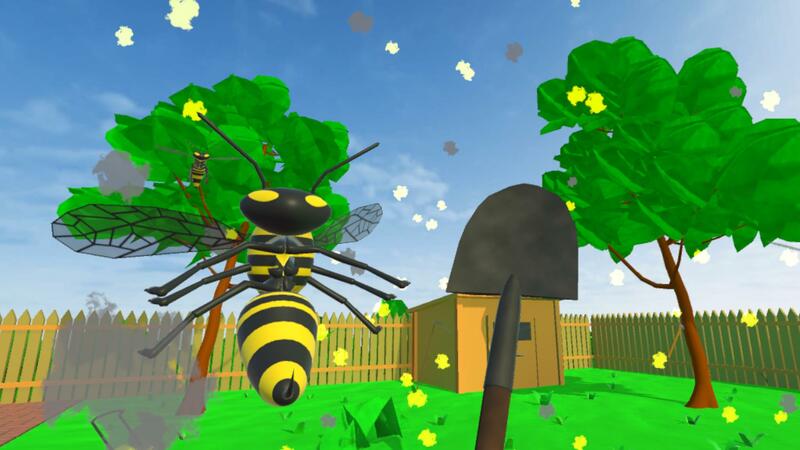 A: Fairly easy: Start the game, pickup the weapons you like and hit the wasp in the middle of the garden to start. Q: What’s the aim of the game? A: Crush, shred, destroy as many wasps as you can! Q: What else to expect in the future? 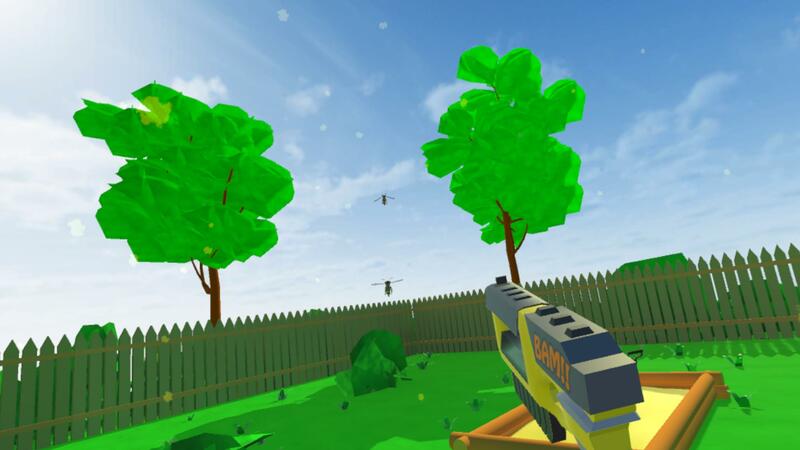 A: There is much more stuff to come, like more weapons, also special weapons, different kind of levels, maybe different types of enemies as well as online leaderboards and alike. Keep your eyes open! 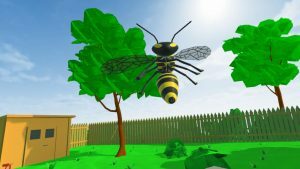 Q: Is this a VR rip off as so many other games out there? 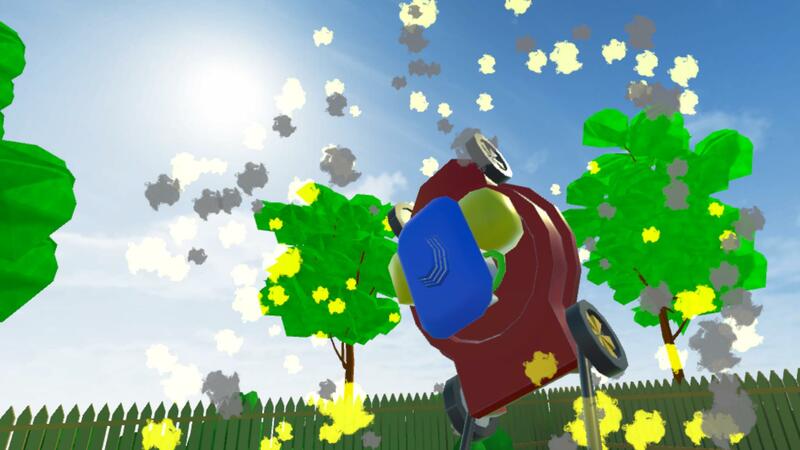 A: I’ve built the game because I wanted to, because it makes fun and because I wanted to explore the new worlds of VR. Not to make a quick dime! Q: I’ve got a problem with the game! A: Leave a comment here, on Facebook/Twitter, or via Email! I’ll be happy to help!